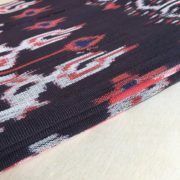 This is a traditional textile from the east part of Sumba Island, an area call Hamba Praing. 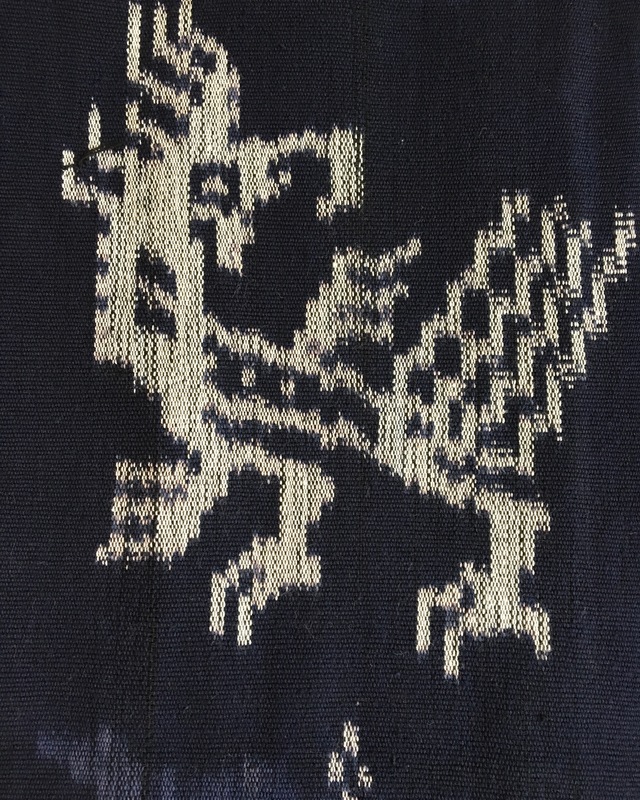 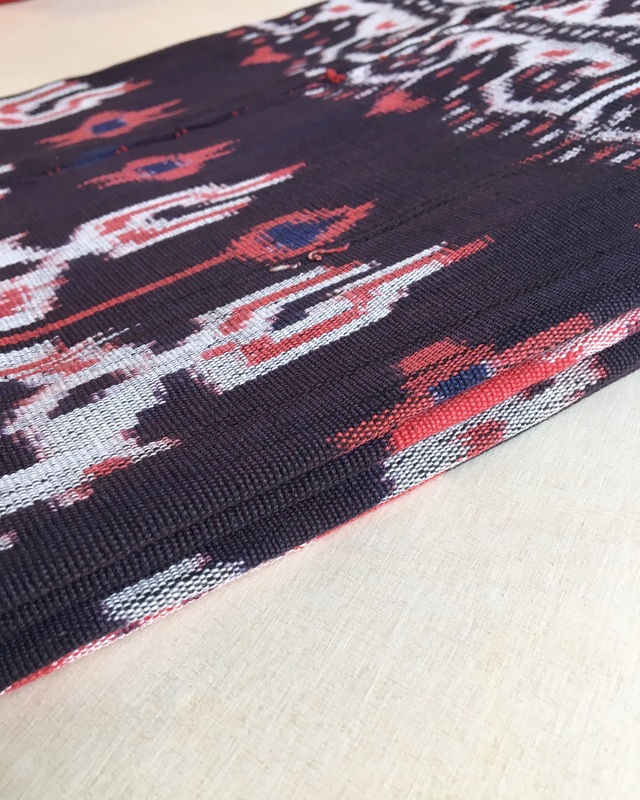 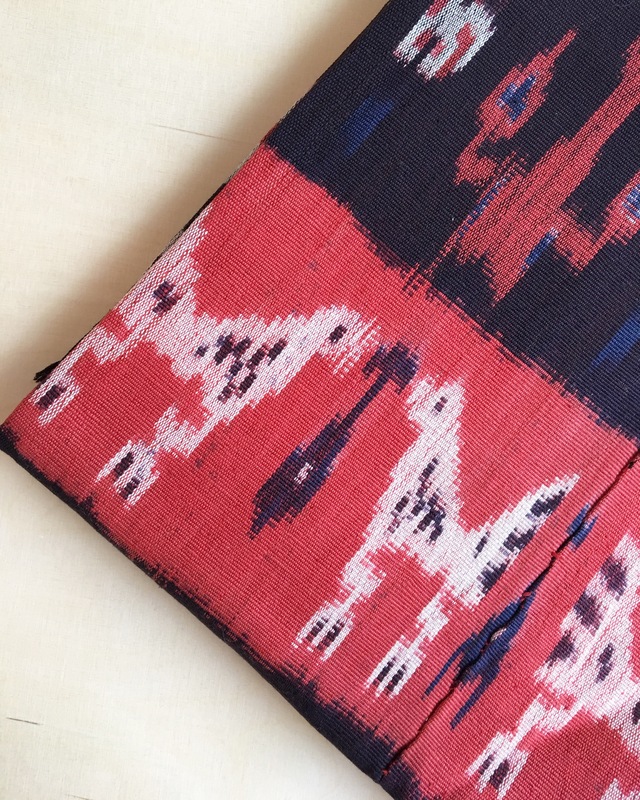 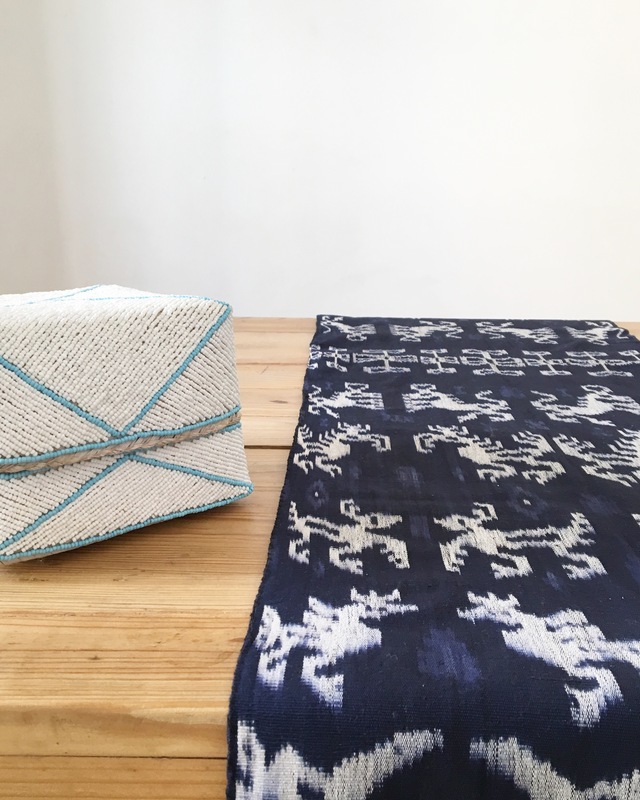 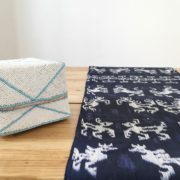 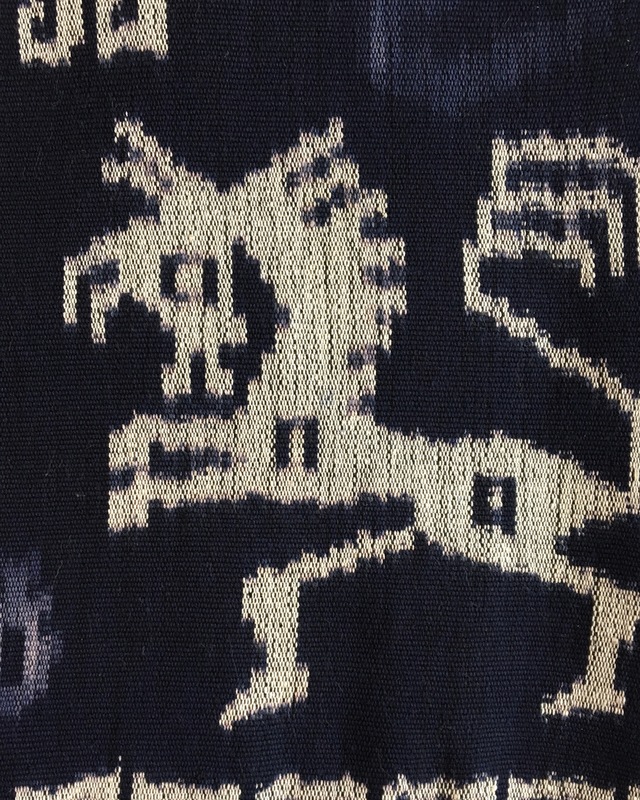 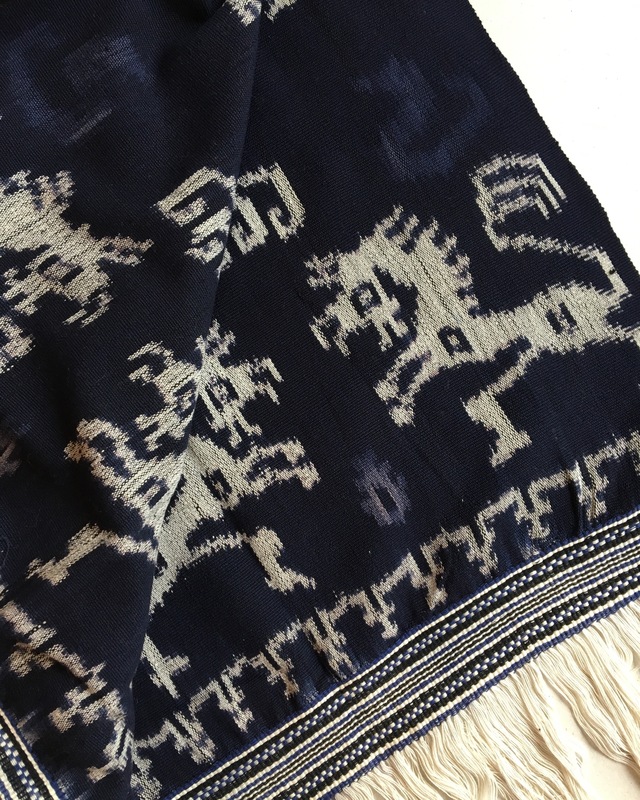 This blanket or Hinggi consist of two pieces of organic cotton woven on a backstrap loom and then sew together creating an unique piece. 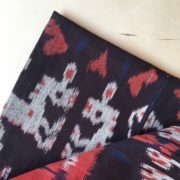 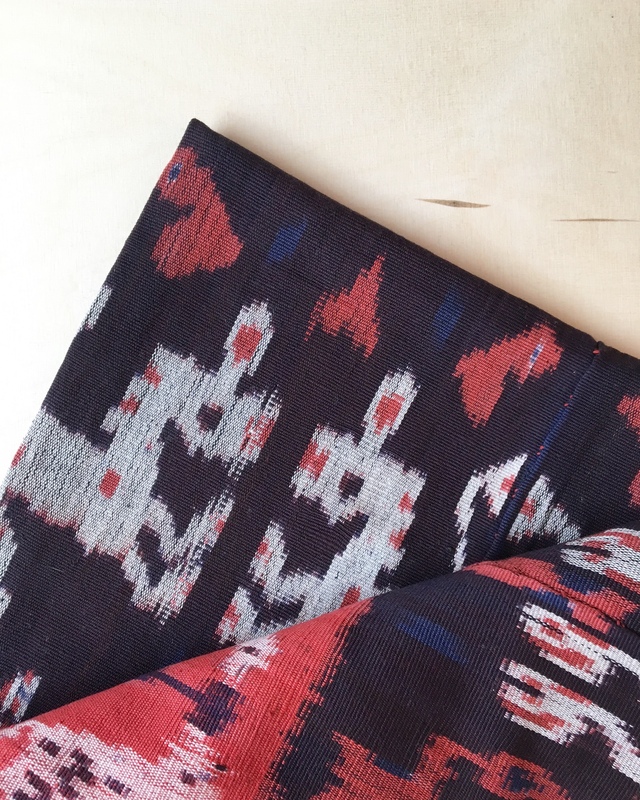 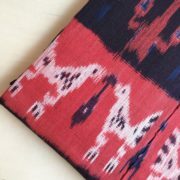 These Ikat warp it is wear by men in traditional ceremonies one accross the shoulder and another tie around the waist. 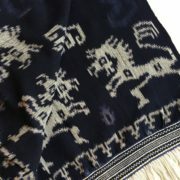 After death, a man’s body is shrouded with his hinggi because his hinggi helps his ancestors to recognize him in the next world. 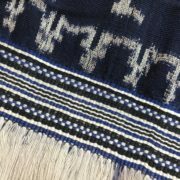 Sumbanese people are divided into three strata: the nobility (maramba), the commoners (kabihu), and the servants (atangadi). 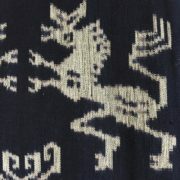 Hinggi designs identify each man’s rank in the social order and place him in the proper clan. 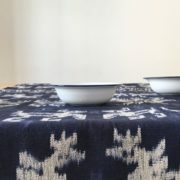 There are two main types of hinggi: hinggi kombu rara, which is reddish in color, and hinggi kaworu, which is predominantly blue. 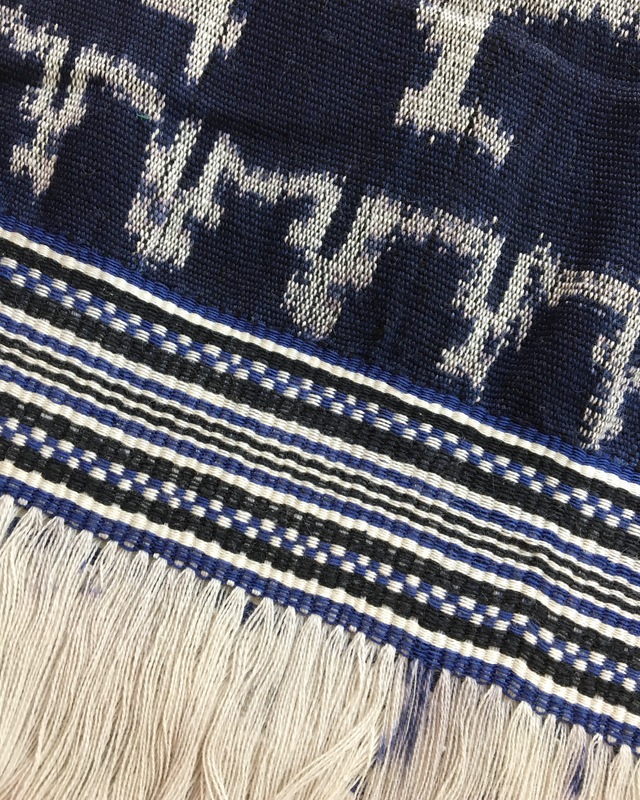 In the past, the color of hinggi could be used to identify the wearer’s social status: blue-and-white hinggi are typically used by the common man, while reddish-brown hinggi are exclusive to nobility. 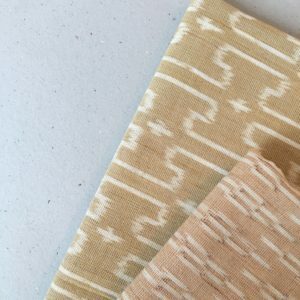 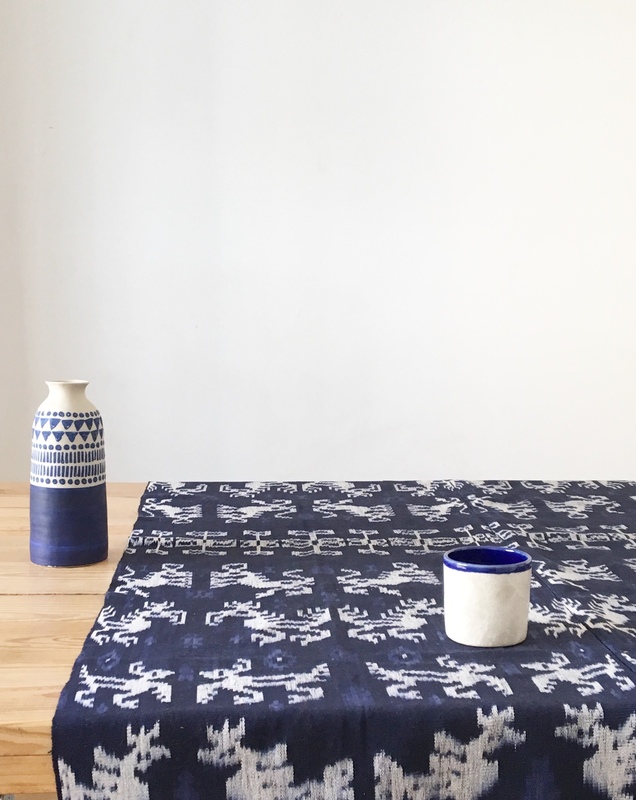 The patterns predominantly featured in Sumbanese textiles are inspired from the people’s direct surroundings. 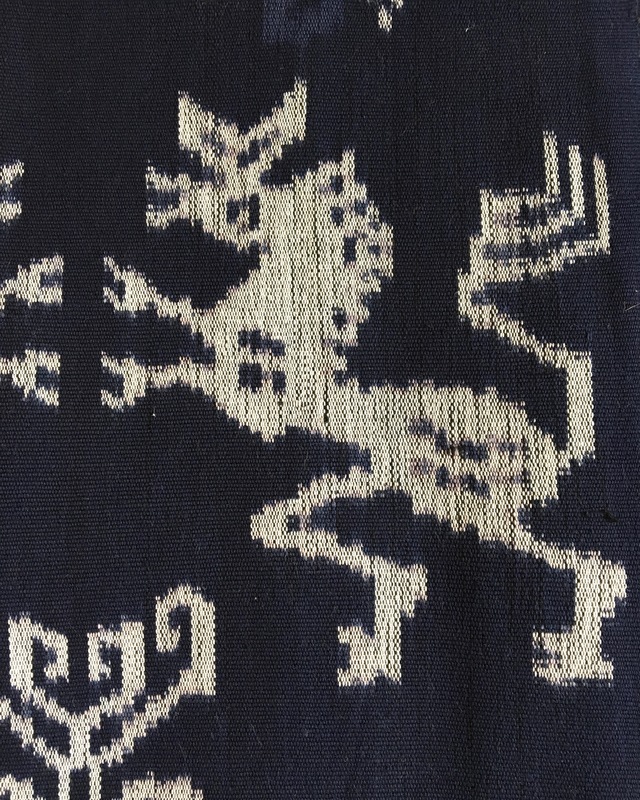 These people live from animal husbandry, therefore their textiles include a variety of animals, such as fishes, seahorses, horses, chickens, deers, birds, snakes, goats, cattle, buffalo,etc. 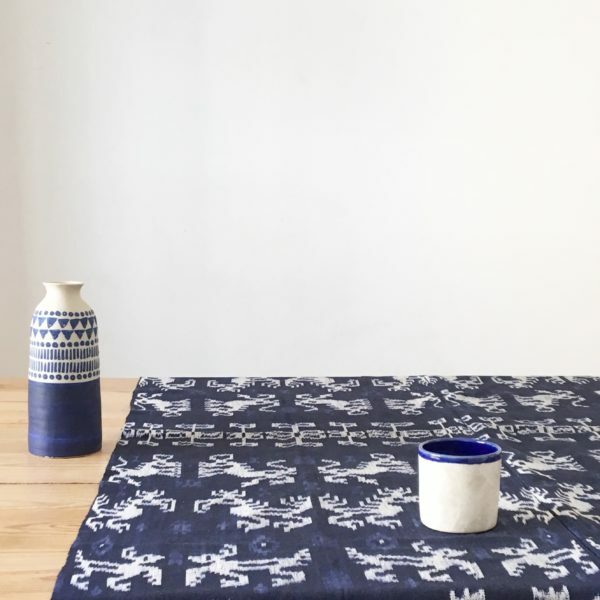 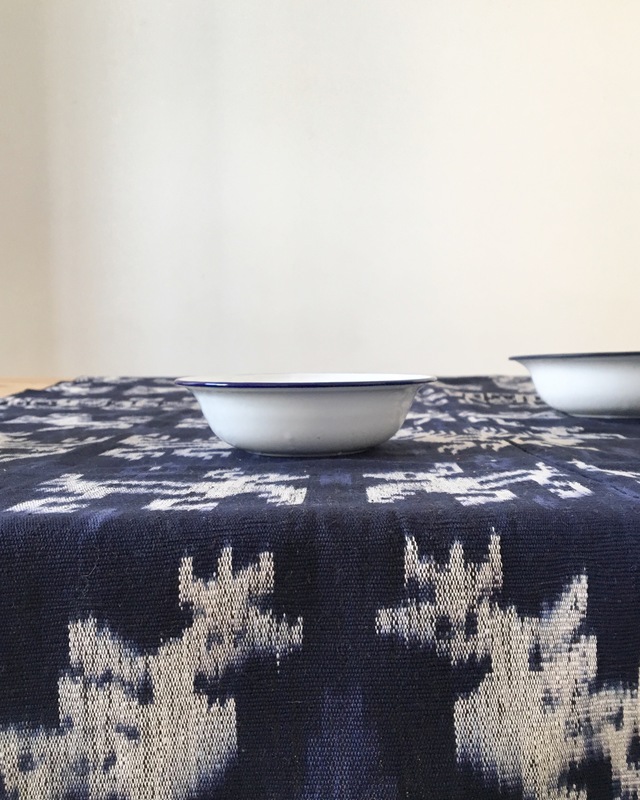 Their natural dyes are prepared during moonsoon season (December to April); blue from indigo plant and red from kombu o Mengkudu tree. 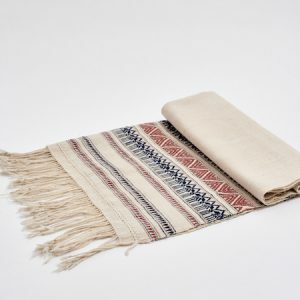 CARE & USE: This product is a unique handmade piece. 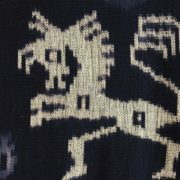 Sunlight and time might have had an effect on the piece (e.g. 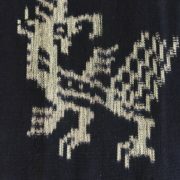 color variation). 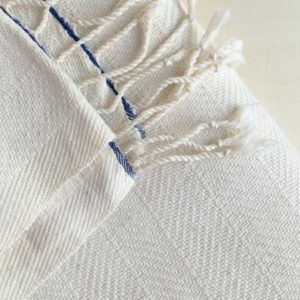 We recommend dry cleaning.